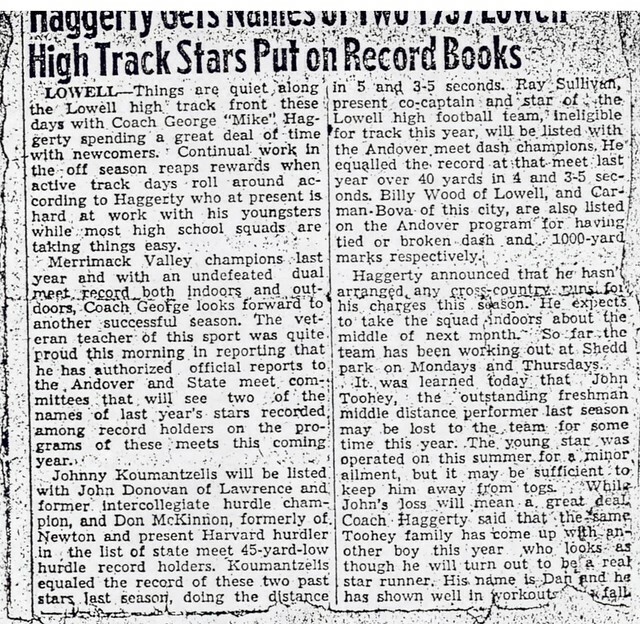 Blessed with outstanding natural speed, Bill Wood can lay legitimate claim to the title of Lowell High School’s all-time fastest sprinter. 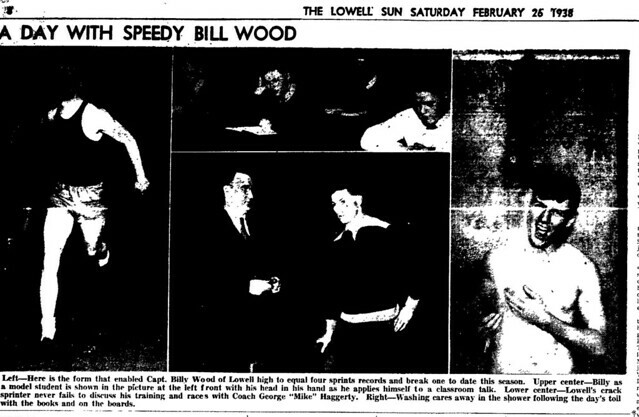 Bill employed that great speed to gain success on both the track and the football field as yet another of the brilliant group of athletes who graced the halls of Kirk Street during the late 1930’s. 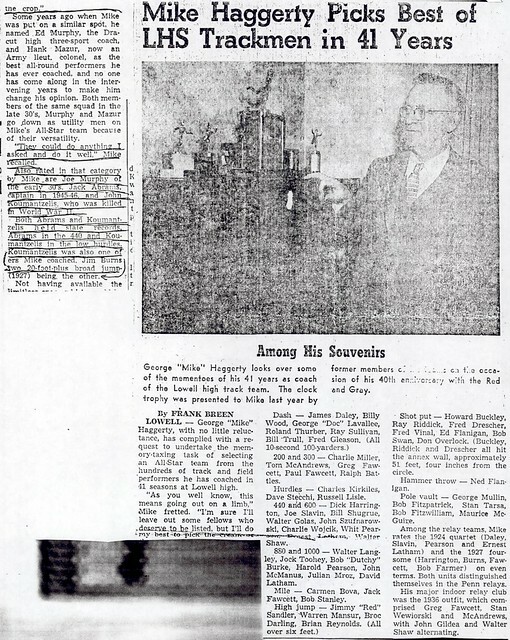 On the gridiron Bill was an end who gained Honorable Mention All-State honors in 1937 under coach Tom Keady. 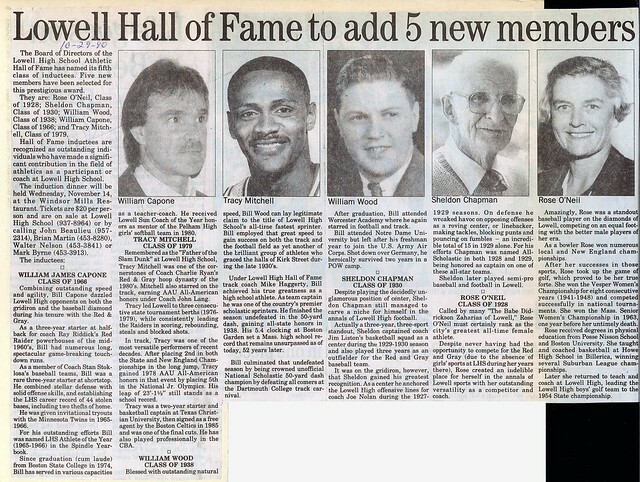 It was on the track, however, under Lowell High Hall of Fame Coach Mike Haggerty, that Bill achieved his true greatness as a high school athlete. As team Captain, he was one of the country’s premier scholastic sprinters. 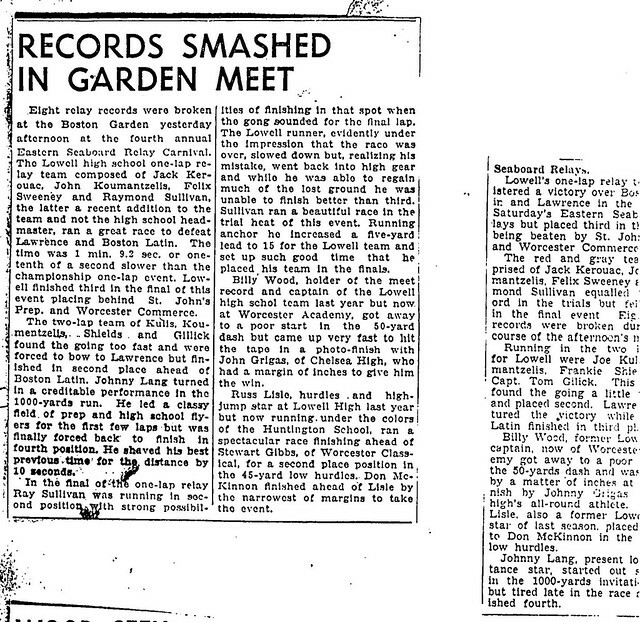 He finished the season undefeated in the 50-yard dash, gaining All-State honors in 1938. 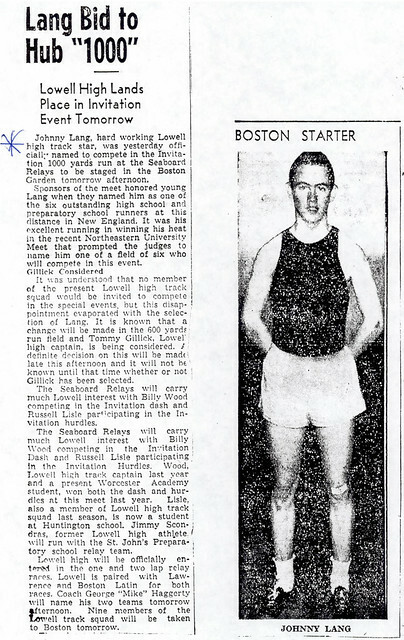 His 5.4 clocking at Boston Garden set a Massachusetts High School record that remains unsurpassed as of 1990, 52 years later. 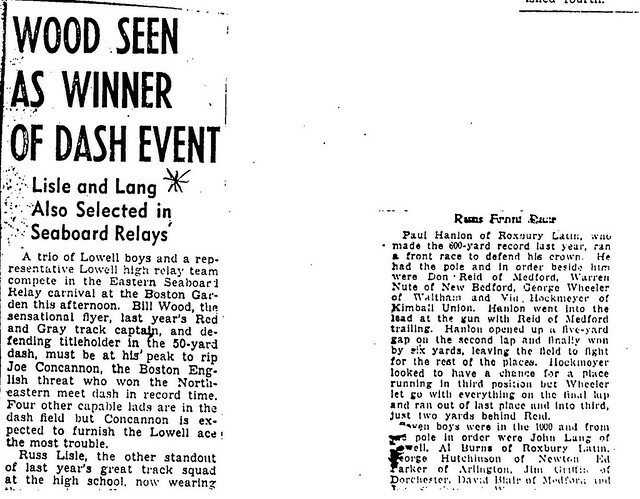 Bill culminated that undefeated season being crowned Unofficial National Scholastic 50-yard Dash Champion by defeating all comers at the Dartmouth College track carnival. 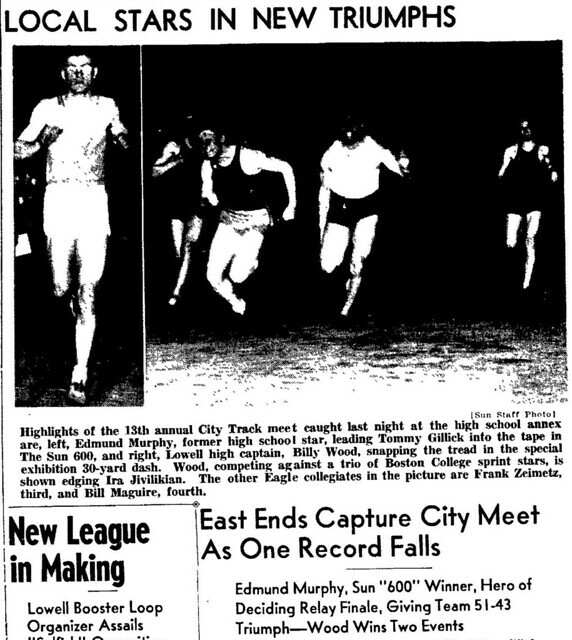 Bill also defeated several outstanding collegiate runners at the 30-yd .dash distance in the annual Lowell City Track Championships at the High School Annex. 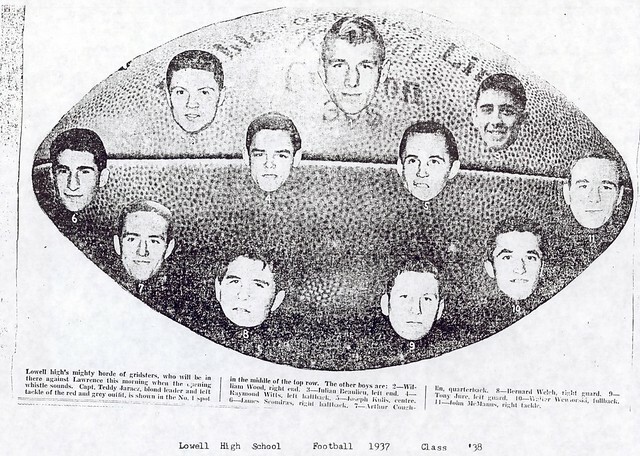 After graduation, Bill attended Worcester Academy where he again starred in Football and Track. 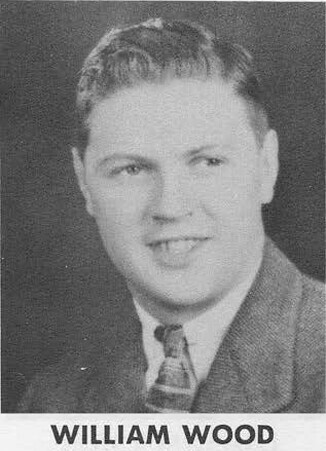 Bill attended Notre Dame University but left after his freshman year to join the U.S. Army Air Corps. Shot down over Germany, he heroically survived two years in a P. A.W. camp.